Letterpress is very popular for the high quality, handmade, bespoke, art printing of wedding invitations, business cards, letterhead, and other specialty printed pieces. 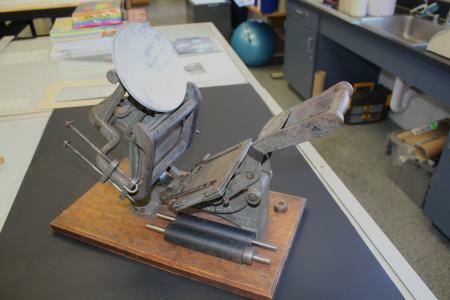 Letterpress is a high-end quality specialty printing process where discerning customers want it known that their material is letterpress printed. The printed pieces have a tactile quality and texture that you can feel with your hand. 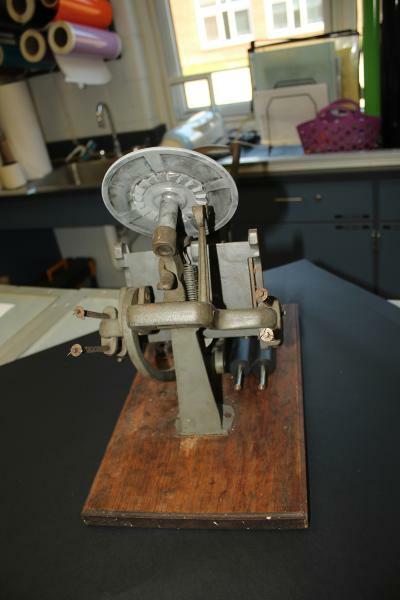 This Kelsey Excelsior 3 x 5 printing press is the perfect press to use to enjoy the age-old art of letterpress printing. Small and lightweight (only 25 pounds) it can sit easily on any table or countertop when in use, or it can easily be stowed on the shelf or floor of a nearby closet. It is mounted on a wooden base the size is 17 x 10 x 15” high. 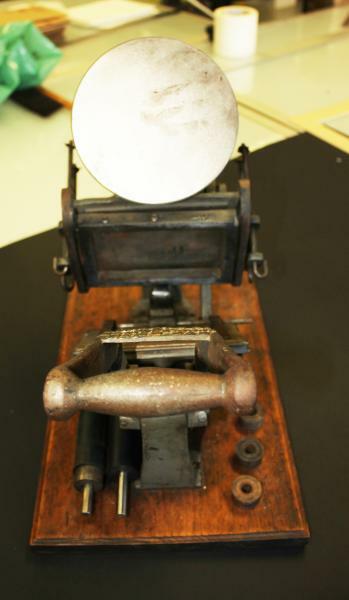 The press offered contains an ink plate, a chase, two rollers, two bails, and two grippers. It is ready to be inked up and put into operation.